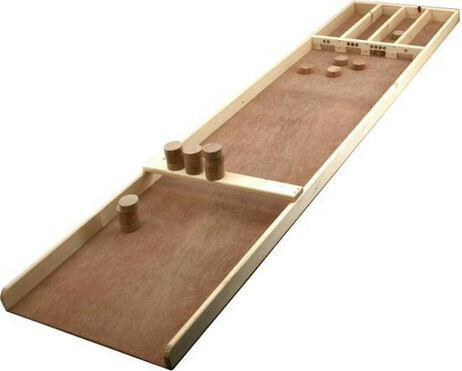 The game board is made of wood with a size of approximately 118 x 29 cm. Includes 20 game pieces of wood with a diameter of 3 cm. Perfect for testing Sjoelbak, to have fun or to give away as a present. A great game for young and old. Have fun! Sjoelbak - try to make the stones into the pit. If a stone lying in front, it can be sunk by following stones in the box below. The highest point score is achieved when you fill up the boxes evenly. Sounds easy? Well then, give it a try ..